Best hostel ever! We sadly only stayed for one night but it was just perfect. Nice staff and nice beer pong competition. 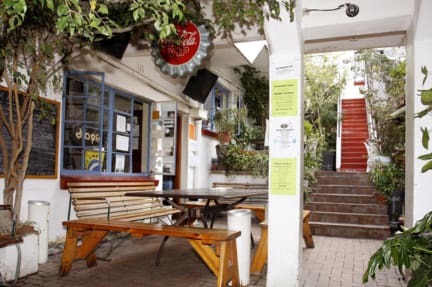 We stayed for 10 days in Long Street Backpackers and enjoyed every single day and appreciated it very much. This place brings wonderful people together and creates a chilled and charming atmosphere. Thank you very much, we'd definitely come back! Really, really nice atmosphere! We spent 4 Nights in this hostel and we had a great time. We only met nice people over there and it never was boring. War in besseren Hostels für den preis in Kapstadt! Bettwäsche war mit Flecken, Bäder mehr als renovierungsbedürftig. Atmosphäre aber sehr cool, dennoch nicht meine erste Wahl in Kapstadt.